IQ-assumptions notwithstanding, the film works best before the two face off. 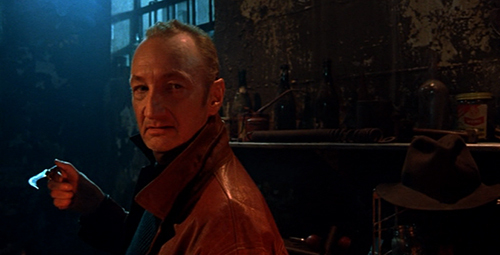 Although Freddy only succeeds in slashing one victim for the whole movie, the dream sequences are good, as are the early murders dealt out by Jason, and the Scooby Doo meeting (and van!) the teens use was amusing. 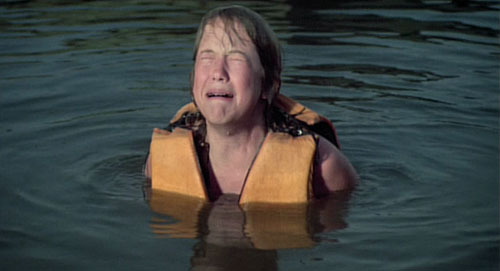 There are countless nods to earlier films in both series (something Halloween completely opted out of), with Westin Hills Psych Hospital back after the Dream Warriors, young Jason is seen with a sack put over his head by nasty campers, although Camp Crystal Lake seen as an untouched 50s relic was strange considering all of the films were set from 1979 onwards. 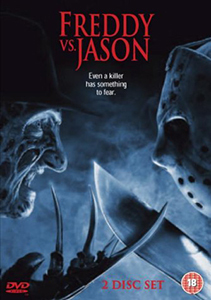 Director/Writer: B. Harrison Smith / Cast: Eric Roberts, Felissa Rose, Nicole Cinaglia, Joe Raffa, Alexander Mandell, Montana Marks, Ashley Sumner, Gnomi Gre, Dave Raphaely, Angel Valerio, Brian Gallagher, Danielle Harris, Angel Sanchez, Kyle Patrick Brennan. 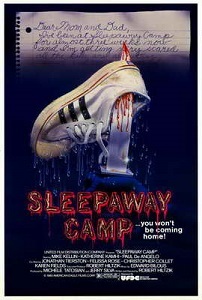 Ignore that cover and that tagline: There were no tents anywhere in this production. It’s pure summer camp goodness through n’ through! 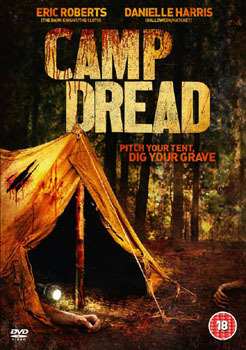 In spite of a dismal 3.8 rating on IMDb, some clunky editing, and titles that look like they were typed out on an early Spectrum computer, Camp Dread is actually a pretty good, high-slaughter count apparent homage to Sleepaway Camp (with touches of Friday the 13th; witness a character named Adrienne) – filmed at a camp that looks suspiciously like Camp Arawak, and featuring Felissa Rose in a central role! 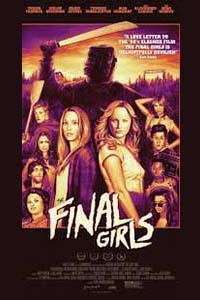 So it goes, washed up actor Eric Roberts plays washed up director Julian Barrett, who found fame in the 80s with the Summer Camp series of cheap slasher films, which starred Rachel Steele (Rose), but relations became bad between those involved and the series stalled to its end. Now, with the chance to direct a remake, Julian presents a group of legally-tangled young folks (all over 21!) with the chance to win $1million if they attend the old camp from the film for counselling sessions with actress-turned-therapist Rachel. They’ll be filmed for the duration on CCTV cameras and the will be ‘killed’ by production assistants. The last one standing walks away with the cash. 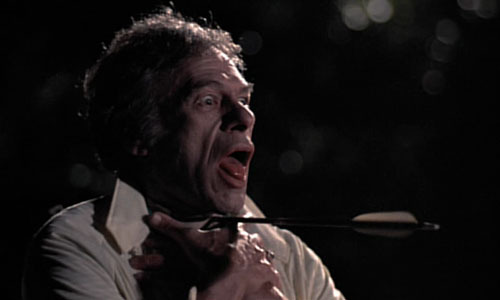 Of course, the ‘killings’ are less eliminations, more genuine slayings, with arrows in the eye, poisoned sandwiches, and being beaten to death with a false leg atop the options… Has one of the jittery contestants snapped? Is Julian behind it all? Rachel soon becomes suspicious as the disappearances mount up, and discovers in-depth profiles on all the kids, some of whom have quite violent histories. Numbers continue to dwindle until the usual nice couple are left, though at this point Camp Dread elects to reveal its apparent ‘twist’, which the seasoned viewer will see coming. It’s obnoxiously juvenile and quite annoying, pulling the rug of probability out from beneath itself, piling twist upon twist on top of everything until it goes beyond a stretch of credibility to a full blown bolt across the line. 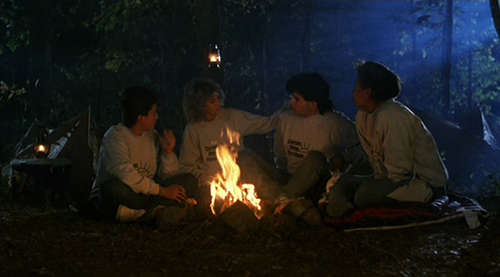 Still, when it comes to making me happy, you can rarely go wrong with a summer camp slasher film: Most of the palatable elements are in place, the characters not too objectionable, the locus quaint and used wisely, and the murders mercifully CG-free and bloody without being excessive. Danielle Harris, despite her star billing, appears for all of five minutes as the local Sheriff, but Felissa is in it for the long haul and is, as expected, awesome. 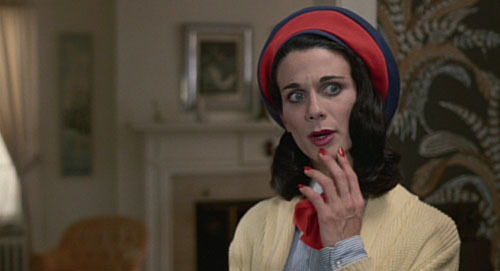 Blurbs-of-interest: Eric Roberts was also in Groupie; Felissa Rose was Angela in Sleepaway Camp and Return to…; Danielle Harris began her impressive slasher movie career in Halloween‘s 4 & 5, Rob Zombie’s remake and its sequel, Urban Legend, Hatchet’s II & III, Blood Night, and ChromeSkull: Laid to Rest 2.